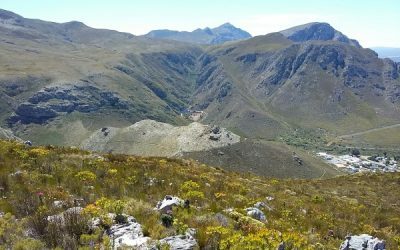 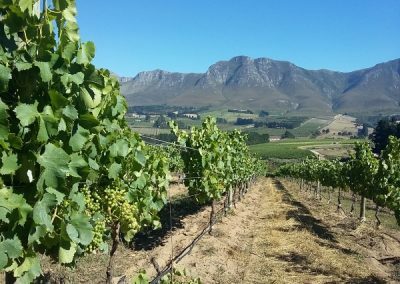 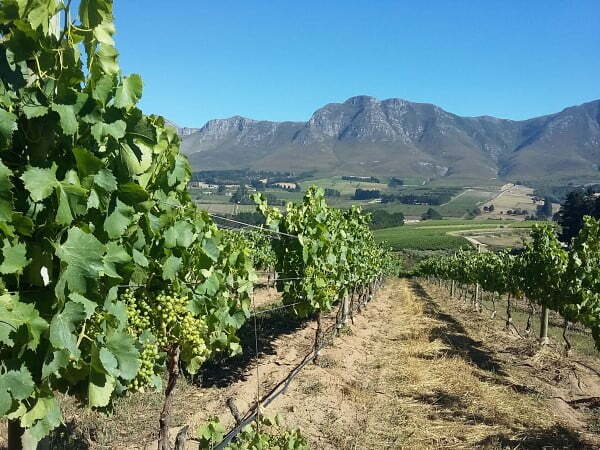 Enjoy hiking through the beautiful Hemel en Aarde valley in the wine lands of the Western Cape – 92 km from Cape Town, South Africa. 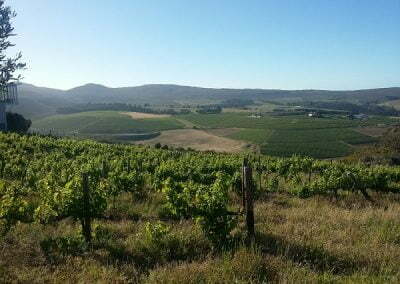 Local FGASA ( Nature,Field & Marine Guide) and Wine & Cape Tourism guided. 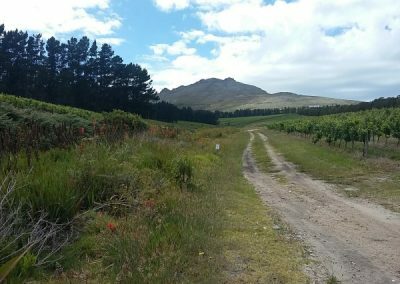 Fully accredited and well versed in the history and culture of the area accompany you through indigenous fynbos, vineyards, fruit orchards, berry farms and olive groves. 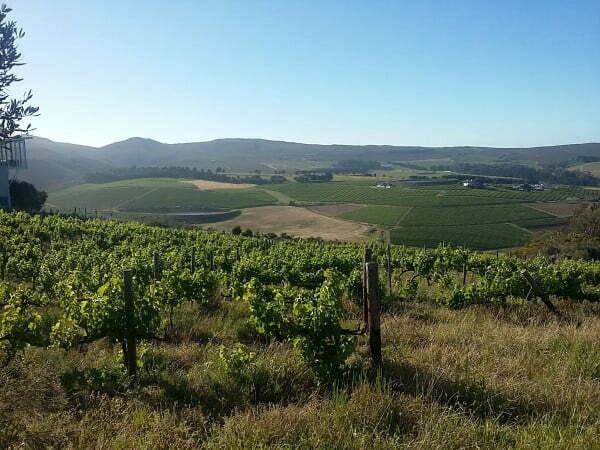 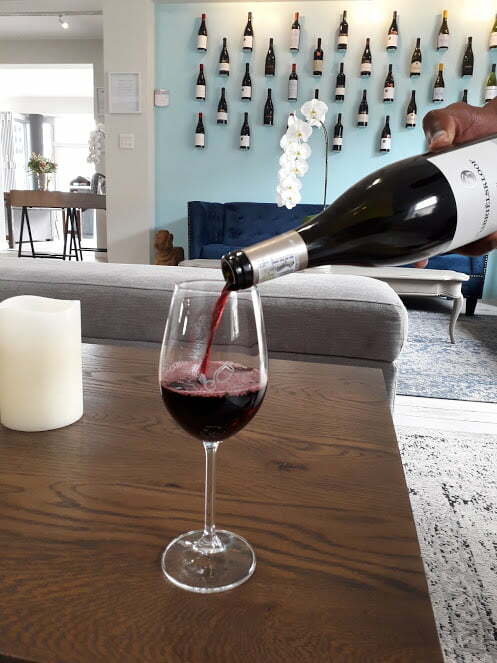 Stop and taste the Hemel en Aarde valley wines and local produce of this fertile valley. 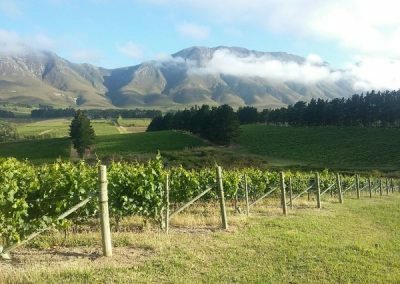 Meet local wine makers and learn more about their award-winning wines and hear their unique life stories. We have a selection of walks and hikes to choose from – ranging from 1 to 5 days’ walks and trails. 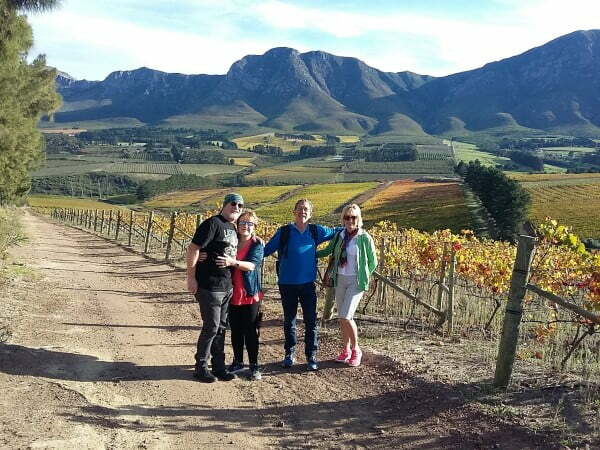 Walk at an easy pace and enjoy the unparalleled scenery and hidden treasures of the “Heaven and Earth” Valley. 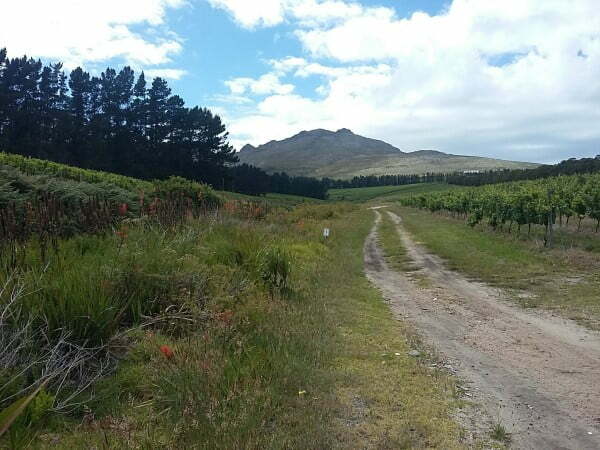 Experience the valley fynbos as you traverse through wine, berry and horse farms. 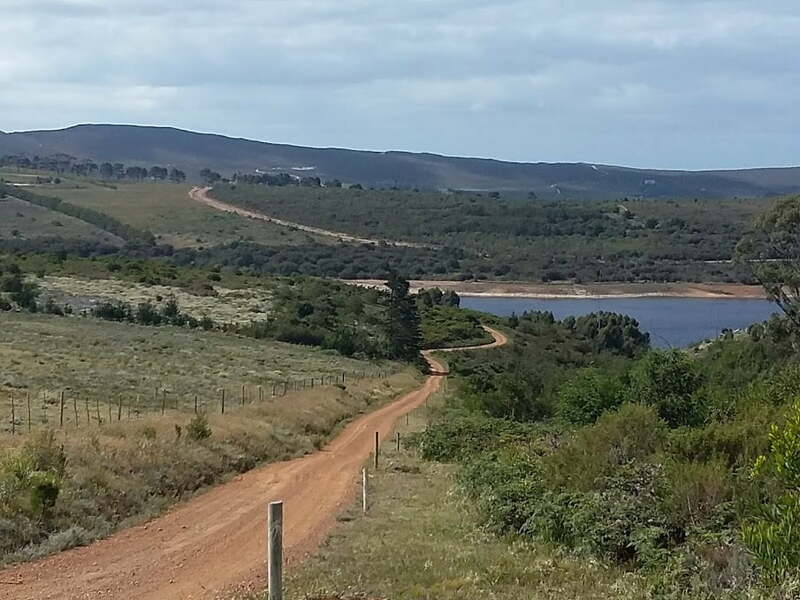 Coffee, tea and lunch breaks at well planned locations along the various routes become highlights. 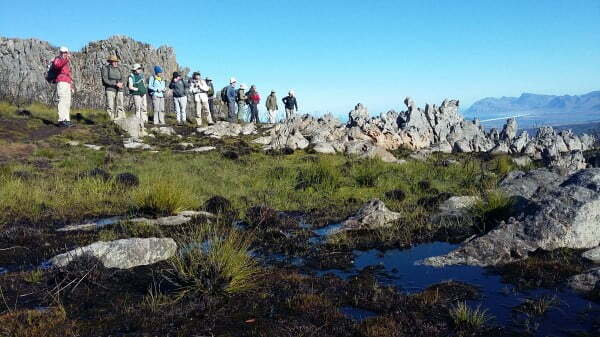 The overnight slack-pack hikes are fully catered and luggage is transferred ahead to your overnight stop. 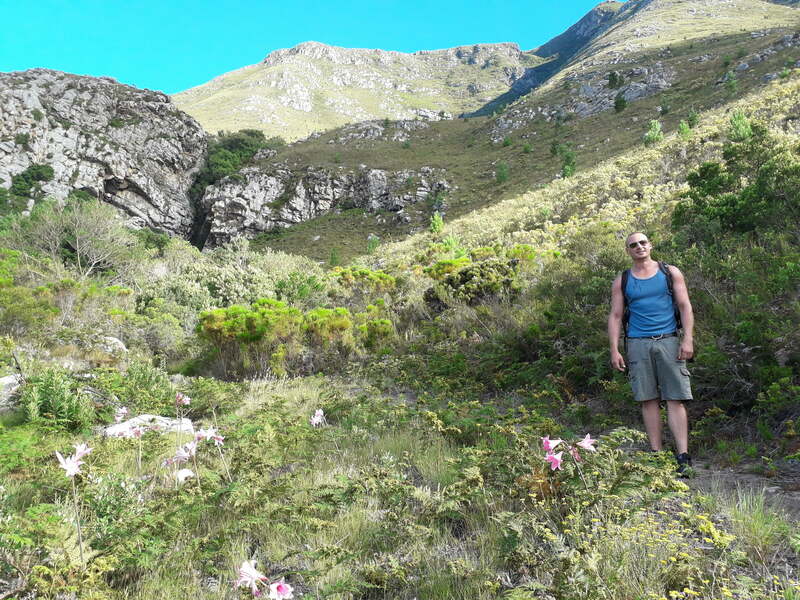 Carrying only a light day-pack enables full enjoyment of the trails and frees one to carry cameras and binoculars( over 60 endemic bird species in the region). 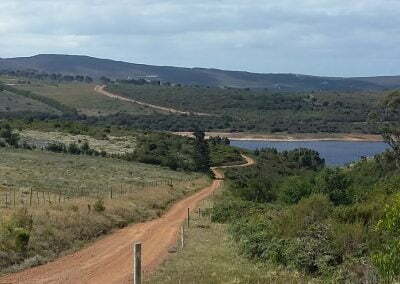 One of the wonderful aspects of this trail is that the distances can be increased to suit the more energetic groups as there is a vast network of trail routes in the Overberg. On the other hand they can be adapted into shorter, easier walks for others. 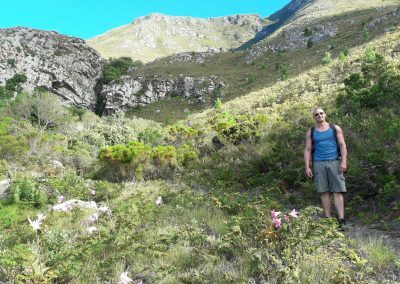 The trail lies in the midst of the Cape Floral Kingdom and without question is floristically the most well-endowed walking trail in existence. 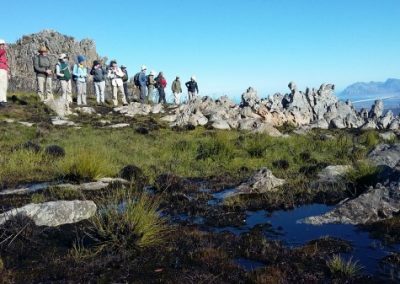 The Mediterranean climate of the region favours walking all year round and the diverse ecological habitats from marine to mountain makes for interesting and varied hiking experiences.